Today I would like to share with you a special outfit, which I wore in Paris. I don't know why, but this outfit gives me some real Parisian vibes. 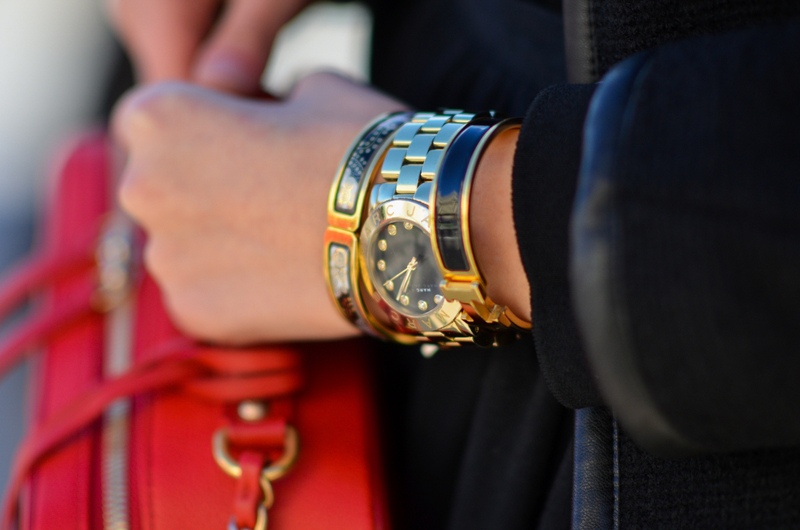 I think black and red is such a classical, elegant combination and somehow it makes me think of Paris and France when I see it. Because this outfit feels really special to me, since I am wearing my new bag for the very first time, I tried to pick the best location for it. And I think it couldn't get more Parisian. We went to the Trocadero to shoot my look, which is only a few minutes walking from our amazing hotel Shangri-La. This time I went for an all-black combination - a turtle neck with a skirt, a coat over it, paired with my over-the-knee boots by Stuart Weitzman and a hat. 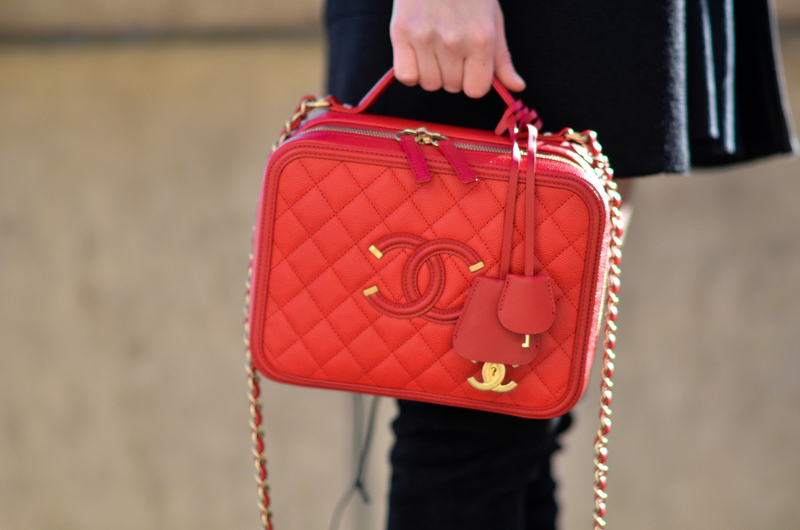 I have added my new Chanel bag to bring some colour in the outfit and to make it more interesting. I think the bag makes the whole look even more special and I have to say that I really love how it looks like! I matched my lipstick colour with the bag - I think it's such a cute detail! What do you think? Dneska mám pro Vás další outfit z Paříže. Tentokrát jsem ho pro Vás vyfotila na Trocaderu, které bylo jen pár minut pěšky od našeho skvělého hotelu Shangri-La. Outfit jsem zvolila zase trochu "jiný". Poprvé jsem si vzala novou kabelku od Chanelu, která mi přijde, že dělá outfit mnohem zajímavější a elegantnější. Jelikož je kabelka sama o sobě výrazná, zvolila jsem k ní celo-černý outfit - uplý rolák jsem doplnila sukní a to vše doplnila černým kabátem. Přidala jsem ještě vysoké kozačky Stuart Weitzman a klobouk. Kabelku jsem sladila s barvou rtěnky, což mi přijde jako super detail. Tak jak se outfit líbí Vám? Tres tres Parisienne! Love the outfit and especially the bag! Black on black with a hat..that's amazing how classy you look. And this bag... it's a pearl! You couldn't actually look more Parisian. It's next time, when you showed us how elegant you are. I really love your style, it's my biggest inspiration!